Always unplug power tools before adjusting or servicing them. Wait for moving parts to stop moving before you approach a power tool. Do not wear loose-fitting clothing, necklaces, or dangling jewelry when using tools. They could be caught and entangled in the tool. Always check a power tool's condition before using it. Inspect power cords for frays or cracks in the insulation. Check the sharpness of cutting edges and be sure handles are securely fastened. Never remove safety mechanisms from power tools and do not tamper with them. Use the correct tool for the job. Read the instruction manual and be sure you know how to use a tool before using it. Learn what the tool is designed to do and don't use it for other purposes. 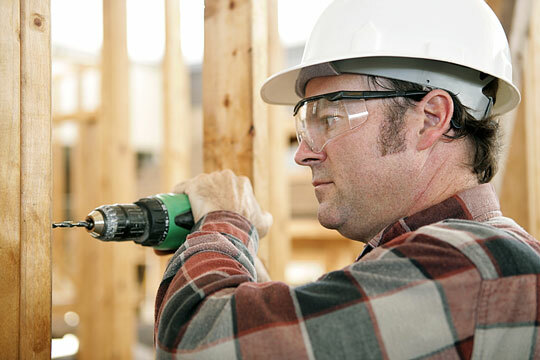 Wear safety goggles if there is even a remote possibility of an eye injury when using a tool. When you are working with tools, keep children and other onlookers a safe distance away. Before letting another person use a tool, instruct the person in how to use the tool properly. Work in adequate lighting conditions. Use lighting that fully illuminates the work area and does not allow shadows to fall across the project. Never work with tools when you're tired, hungry, or upset. Put tools away safely after using them, preferably in a locked tool chest or tool box. Identify tools that need to be repaired before storing them.